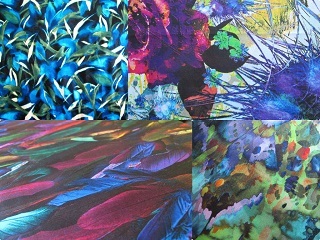 I trawled the silk sections of a number of stores and asked widely. Finally I turned over this small bolt and I don’t know if this store actually knew they had this as I’d already asked after it a couple of times. It is a beauty. A lot of Cavalli fabrics can be a bit gaudy but that studio also comes up with some of the most coveted too. This is a small-ish length because it was expensive, so I guess the 145cm x 1.6 metre length with determine what you make. I always saw this as some sort of floaty top. It is also a very delicate fabric, a gauze-type silk, so it probably needs experienced hands. I’d opt for something with a few seams, a few gathers to show off the diaphanous quality. In the images below, I’ve shown the fabric with and without an under fabric. 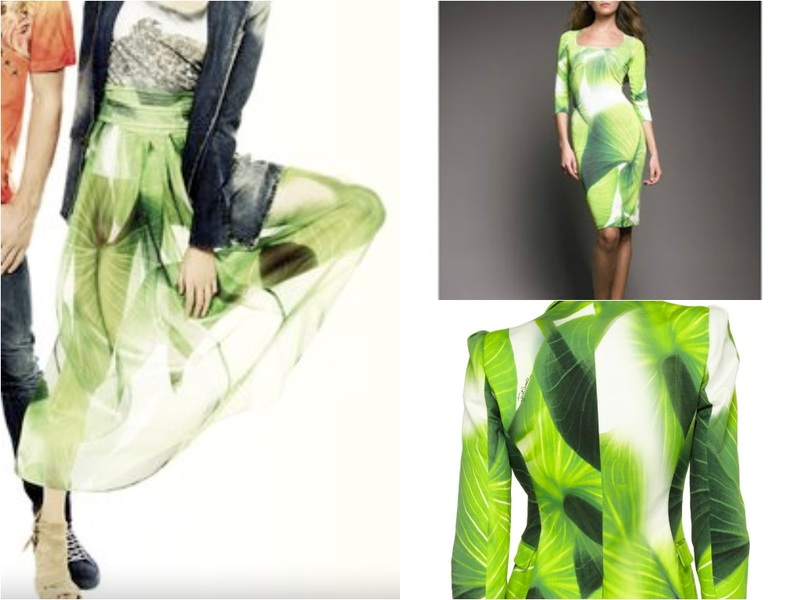 In the image bottom left, you’ll see a light lime silk georgette that I placed underneath the fabric. 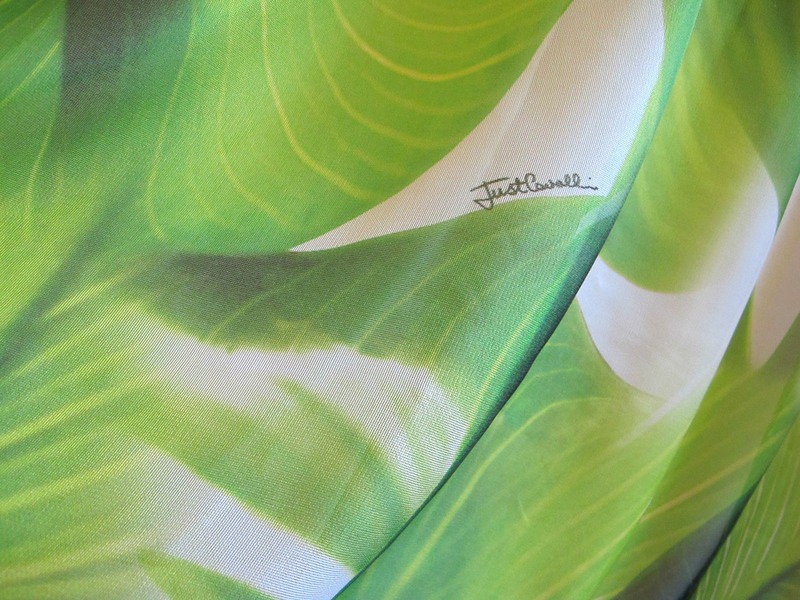 This worked quite well, enough ‘green’ to underpin the Cavalli silk, but not too bright to dominate it. If you need an under piece, I can probably let go of a bit of this fabric too. 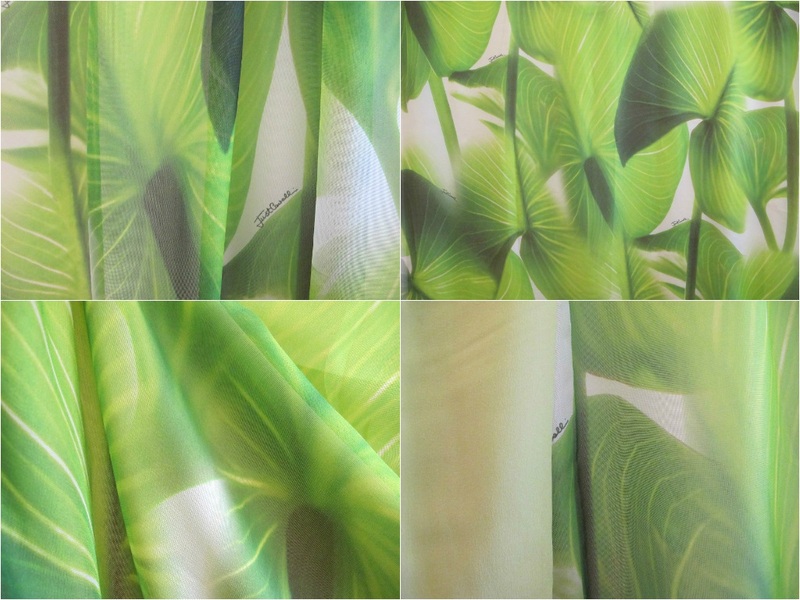 The price for this fabric is $39 a metre/$62.50 for the piece.